This beautiful rocker/glider offers relaxed elegance, supreme comfort, and classic style. Features a rocker/glider swivel base. Slipcovered in Denim Twill in charcoal, white, or buff. Also available in Tuscany Linen in natural, dove gray, or white. 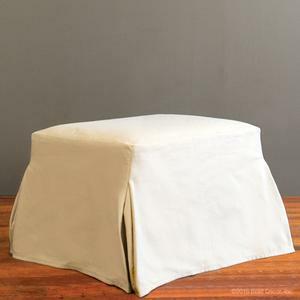 Removable slipcover for easy cleaning. Slipcovers may be machine washed, cold water and laid out to air dry. Afterwards, put in the dryer to fluff if needed. Custom fabrics available: email design@brattdecor.com for details. COM available: email design@brattdecor.com for details. 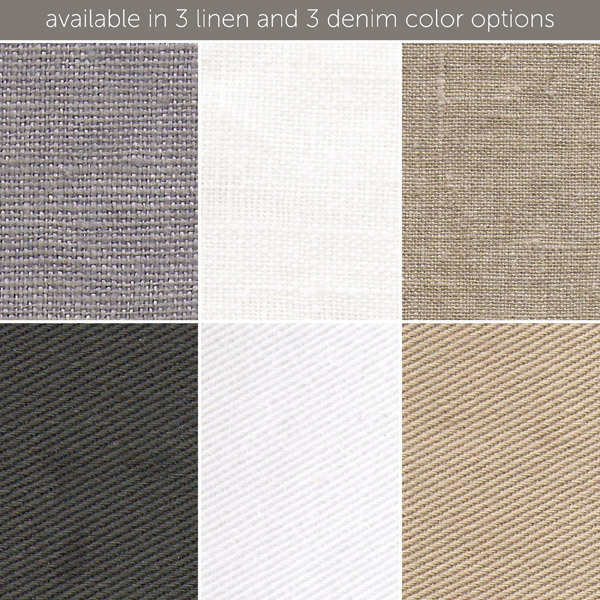 Available in the following finishes: denim - buff, denim - charcoal, denim - white, linen - gray, linen - natural, linen - white. Bratt Decor slipcovered club glider - buff denim This beautiful rocker/glider offers relaxed elegance, supreme comfort, and classic style. Arm height from the floor: 24"
Arm height from the seat: 7"
Seat height from the floor: 20"
Seat back height from the cushion: 20"
special features : Glider and swivel Leggett and Platt base. Carton 1: 0" x 0" x 0"